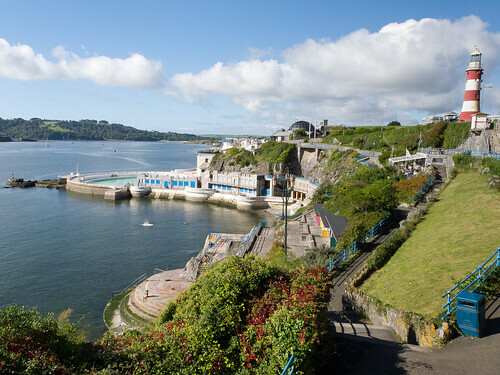 Despite being a bustling city, Plymouth is also home to one of the most natural harbours in the world offering impressively green spaces and breathtaking views across Plymouth Sound. The perfect picnic spot for seascape-lovers, Devil's Point is one of the best places to take in this wonderful panoramic view. Make a day of it and hang around till sunset – a sight not to be missed. The walk: To absorb the very best of what the city has to offer, take this comprehensive walk that covers the Hoe, the Barbican, the City Market, Drake Circus and many of the other points of interest that define the area. 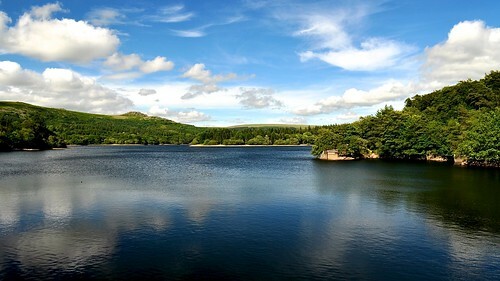 The undisturbed woodland at Burrator Reservoir provides an ideal location for an explorer's picnic. A wealth of footpaths and bridleways offer a foray of hidden picnic spots just waiting to be discovered. Those fascinated with how history and the natural world interact will revel in discovering the remains of the Princetown Railway, prehistoric settlements and the abundance of animals that live in the area including ponies and a variety of bird species. The walk: The four-mile circular walk looping around the water encourages a gentle stroll, perfect for working up an appetite or walking off a heavy lunch. There's also the promise of an ice cream van providing a sweet end to an idyllic afternoon. If you desire a picnic space with plenty of room for activities then head to Spitchwick Common. A large grassy area with plenty of room for ball games is ideally placed next to a bathing and jumping river spot – perfect for an active afternoon in the sunshine. The river pools consist of both deep and shallow water, as well as a natural water shoot to splash under. The walk: This five-mile walk up to Mel Tor has incredible views over the Dart Valley and is ideal for active families. On a hot summer's day keep an ear out for the sounds of children frolicking and that will lead you right to the common. A picnic location that promises to be a favourite with your four-legged friends can be found at National Trust Fingle Bridge. Using the Fingle Bridge Inn as your base, explore the weaving woodland tracks running parallel to the River Teign on foot. On either side of the river there are plenty of leafy clearings and gradual declines into the water ideal for pit stops and a paddle. 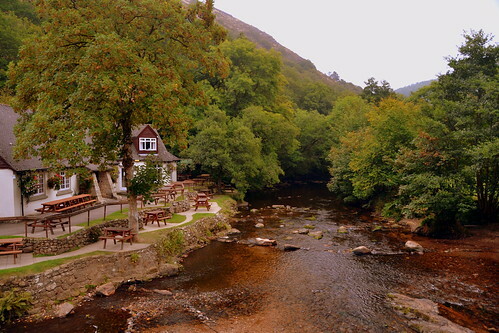 On returning to base, the Fingle Bridge Inn offers delicious refreshments and a wonderful outdoor seating area right on the river bank. The walk: The 3.5-mile Teign Gorge Classic Circuit proudly labels itself as 'perhaps the most famous walk on Dartmoor' and by taking in Castle Drogo, the incredible Hunters Path, acres of oak woodland and, of course, Fingle Bridge, that certainly is a reasonable claim. 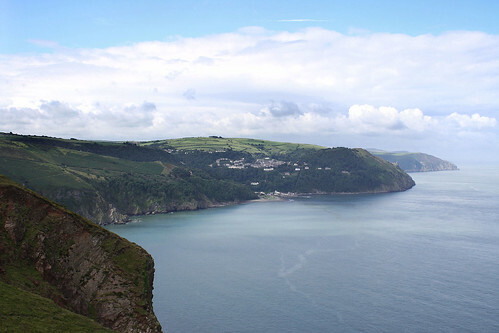 Whether it is action or relaxation you are looking for, Exmoor National Park has something for everyone. Inland there are excellent opportunities for open moorland walking as well as ancient wooded valleys and the stunning Heritage Coast. 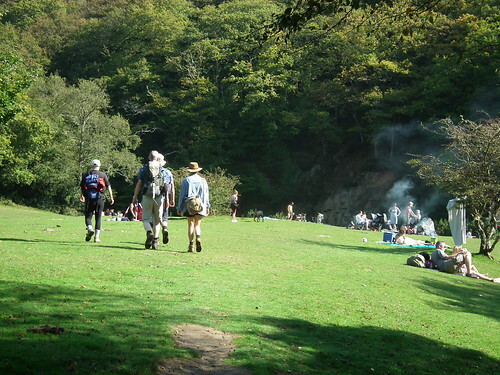 The coasts of Lynton and Lynmouth can be accessed through wooded combes beside the East Lyn River providing panoramic views. To the east is the dramatic Foreland Point; to the west The Valley of Rocks, and north looks across the Bristol Channel to Wales. So pack up your picnic and delve in. The walk: The South West Coast Path provides more walks than you could probably ever manage and one of its more adventurous tracks is this five-mile walk around Foreland Point. Active families will love this trek around remote headland and scree-clad slopes but be aware, it can be a little treacherous in bad weather. A fascinating mix of historic and contemporary design, Exeter's Quayside combines history, attractive architecture and lively cafes, pubs and restaurants. Watch artists at work in the old bonded warehouses-turned-craft workshops as they transform wood, glass and metal into artistic gems. Moving away from the hustle and bustle of the Quay, cycle or walk through the Exeter Riverside Valley Park along miles of towpath for a riverside picnic. When the weather's warm the quay is alive with action and the wonderful atmosphere is infectious. The walk: Starting and finishing at the quay, this 4.5-mile stroll not only covers the city's riverside but also connects with the Western Skyline route which gives you fantastic views over the area. The gentle lapping of waves provides a wonderful soundtrack to an alfresco lunch on the sheltered sands of Mill Bay Beach. Situated just below East Portlemouth village, the privately owned beach takes pride in being an Area of Outstanding Natural Beauty. At low tide there is a wealth of rock pools to explore, perfect for little ones hoping to catch the first sight of a crab. 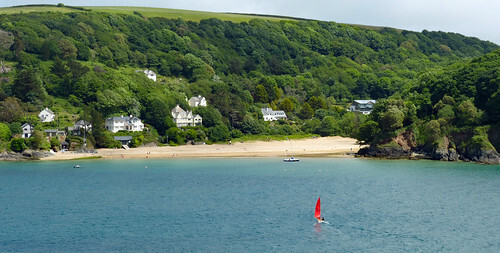 Parking is limited but there's always the option to catch the ferry across from Salcombe. Dogs are welcome all year round. The walk: Regularly dropping down into the many coves that look out onto Salcombe Harbour and the estuary, over the 3.5 miles of this National Trust walk you'll consistently experience a degree of seclusion few other walks can match. The picturesque fishing village of Beer is situated along the Jurassic Coast World Heritage Site and is in the East Devon Area of Outstanding Natural Beauty. Boasting a harbour in the form of a natural cove, a shingle beach, white chalk cliffs and quarry caves open to the public, there are plenty of sights to feast your eyes upon. The Peco Millennium garden plays host to a wonderful picnic area amongst scented walkways, themed gardens, an aviary and a lake. 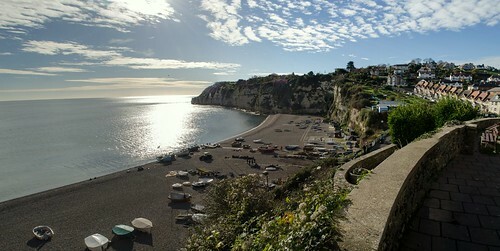 The walk: Even though this six-mile walk technically starts in Branscombe, if you wish to stay in and around Beer then you can easily reverse the route and cover the same gorgeous sights. The Hooken Cliffs and the enormous anchor of the crashed MSC Napoli are just a couple of spots worth exploring. 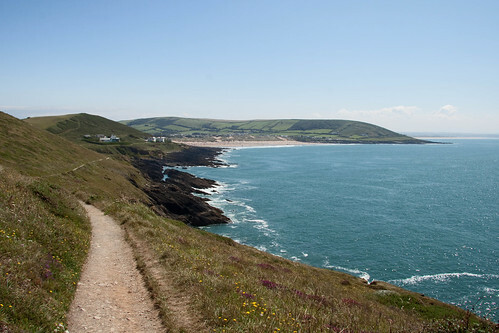 Pack the car with surf boards, body boards and beach towels and spend the day riding the waves at Croyde Bay. The big waves and warm waters are admired by surfers and body boarders alike, and with the addition of surf schools around the bay, the area is continuing to grow in popularity. Refuel with a picnic on the sand or venture along the beach through the dunes and out to Baggy Point. The walk: Taking you out to Baggy Point and beyond, this 2.5-mile stroll is incredibly accessible and so perfect for families with a pushchair or wheelchair. It's also ideal for dogs so don't leave out the pooch. Follow the winding road from Hartland Town, past Hartland Abbey and onwards through the small hamlet of Stoke before arriving at Hartland Quay. 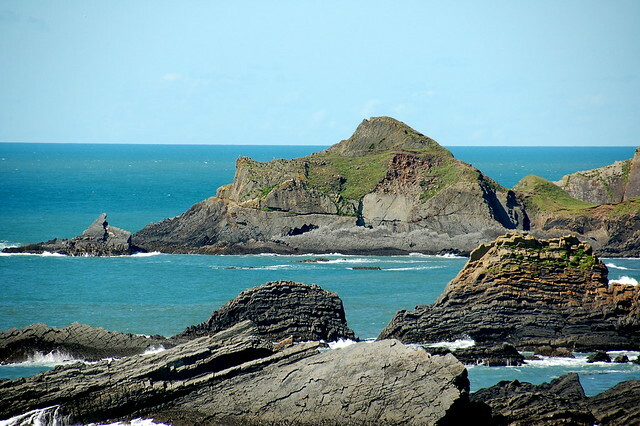 The steep tarmac road can be driven down for easy access to the beach or, if you prefer, take a leisurely stroll looking out for views of Bideford Bay and Hartland rock formations as you descend. There is a grassy picnic area half way down or, if the tide is out, spread out your picnic blanket in the sheltered cove on the beach. The walk: For £5 you can get a Hartland Treasure Trail map where you can solve clues and find hidden treasures with the family while for free we recommend the four-mile circular Coastal Heritage Walk that gives you an insight into the area's hidden history. 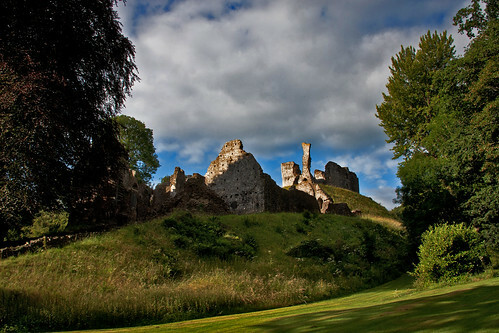 If you are looking for an undisturbed, quiet spot, Okehampton Castle offers an oasis of natural beauty just waiting to be enjoyed. Set on a wooden spur above the River Okement, the castle is perfectly situated for riverside picnics and beautiful woodland walks. Bird lovers can enjoy the regular visiting species, and in early summer a variety of seasonal wild flowers adorn the meadow, woodland and motte. The walk: The 4.5-mile Okehampton Deer Park Circuit not only passes medieval longhouses and the local nature reserve but also runs close enough to the castle for an easy diversion.